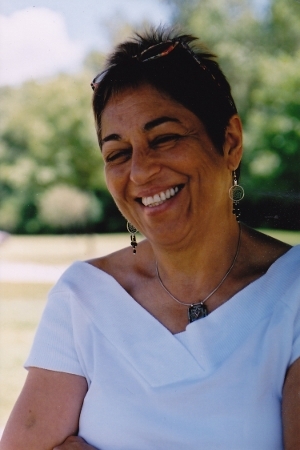 Toi Derricotte has published five collections of poetry, most recently, The Undertaker’s Daughter (2011). An earlier collection of poems, Tender, won the 1998 Paterson Poetry Prize. Her literary memoir, The Black Notebooks, published by W.W. Norton in 1997, won the 1998 Anisfield-Wolf Book Award for Non-Fiction and was a New York Times Notable Book of the Year. Derricotte’s essay, “Beginning Dialogues,” is included in The Best American Essays 2006, edited by Lauren Slater; her essay, “Beds,” is included in The Best American Essays 2011, edited by Edwidge Danticat. Recognized as a Distinguished Daughter of Pennsylvania in 2009, her honors include the Lucille Medwick Memorial Award from the Poetry Society of America; two Pushcart Prizes; the Distinguished Pioneering of the Arts Award from the United Black Artists; the Alumni/Alumnae Award from New York University; the Barnes & Noble Writers for Writers Award from Poets & Writers, Inc.; the Elizabeth Kray Award for service to the field of poetry from Poets House; and fellowships from the National Endowment for the Arts, the New Jersey State Council on the Arts, the Rockefeller Foundation, the Guggenheim Foundation and the Maryland State Arts Council. With Cornelius Eady, she co-founded Cave Canem Foundation. She is a Professor of English at the University of Pittsburgh and serves on the Academy of American Poets’ Board of Chancellors.